Item # 294282 Stash Points: 3,495 (?) This is the number of points you get in The Zumiez Stash for purchasing this item. Stash points are redeemable for exclusive rewards only available to Zumiez Stash members. To redeem your points check out the rewards catalog on thestash.zumiez.com. 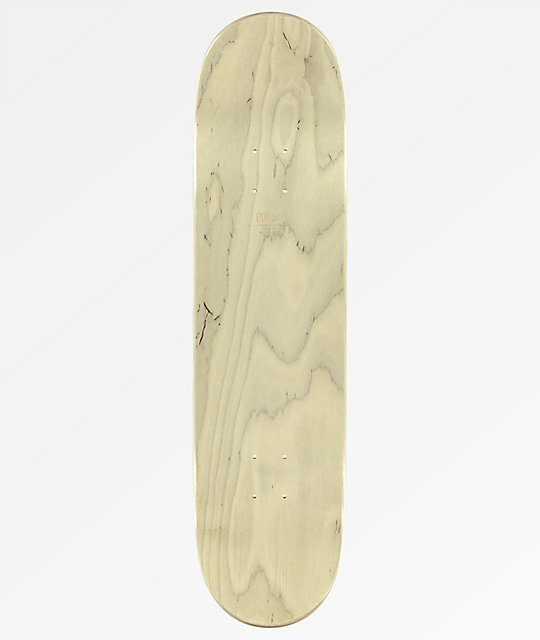 Build your complete right with the Color Blind skate deck from Blind. Made with 7-plys of hard rock maple that have been pressed with super strong resin epoxy for a lightweight construction that will hold its pop for longer. Pressed one deck at a time, Blind is able to construct not only super strong decks but ones that will all feel the same! This Color Blind deck features an 8.25" width and is finished with an array of green dots and "blind" spelled out in pink and red dots on the bottom. 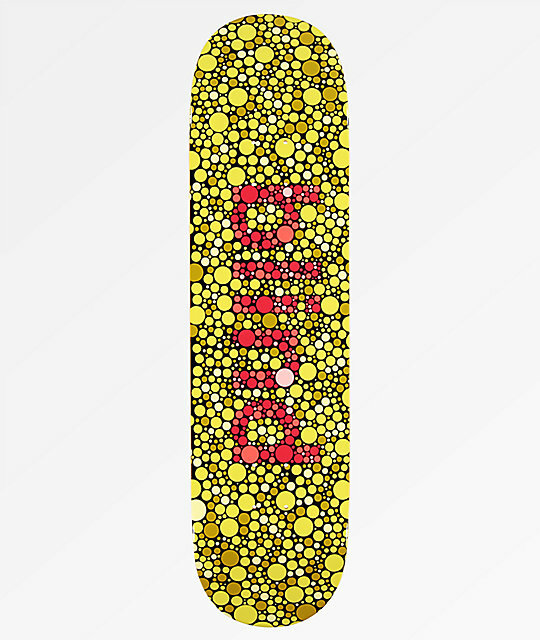 Color Blind Army 8.25" Skateboard Deck from Blind.